Vivian Maier (1926-2009) worked as a governess for more than four decades as of the beginning of the 1950s. Her entire life went inevitably unnoticed, until her photographic corpus was discovered recently (in 2007): a colossal work consisting of more than 120,000 negatives, super 8mm and 16mm films, various recordings, miscellaneous photographs, and a multitude of undeveloped films. In spite of the fact that there has not been enough time to compare the different scholarly and critical analyses of this work, it seemed appropriate to show a non-exhaustive yet representative selection of the photographer’s images. 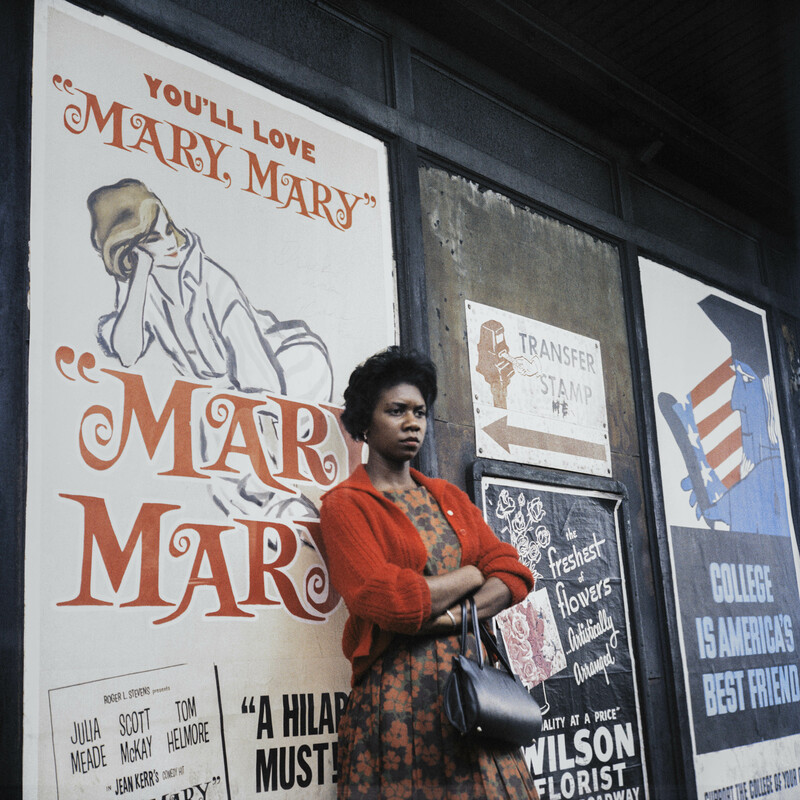 This first presentation provides a glimpse into the fine eye and subtlety with which Vivian Maier appropriated the visual language of her age. In her spare time, Vivian Maier photographed the street, people, objects, landscapes; ultimately, she photographed what she saw abruptly, to put it simply. She knew how to capture her time for a fraction of a second. She narrated the beauty of ordinary things, seeking the imperceptible cracks and elusive inflections of the real in everyday banality. Her world was the others, the unknown, anonymous people, whom Vivian Maier touched upon for a second, so that when she recorded with her camera was first a matter of distance – that same distance that turned those characters into the protagonists of an anecdote of no importance. And even though she dared imperious, disconcerting compositions, Vivian Maier stays at the threshold and even beyond the scene she photographs, never on this side, so as not to be invisible. She takes part in what she sees and becomes a subject herself. The reflections of her face, her shadow that extends on the ground, the figure of her silhouette, are projected in the perimeter of the photographic image. Vivian Maier made numerous self-portraits in those years with the insistence of someone in search of herself. She cultivated a certain obsession, less for the image itself than for the act of photographing, for the gesture, like an accomplishment in the making. The street was her theatre; her images a pretext.